Find answers here to frequently asked questions regarding general topics at Opentracker that we receive often. Get answers to frequently asked questions about using your Opentracker’s payment, administration & financial processes/ details. 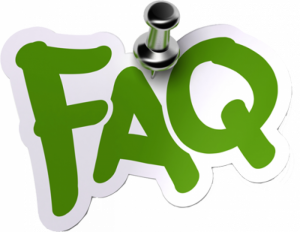 Multiple Sites – Resellers – Read our reseller FAQs for answers to common reseller questions. We provide resellers the resources they need to offer a complete solution to customers. User Management is a tool that allows you to grant other users access to your Opentracker account. You can set up each person with his/her own login. 1. I’m using adobe dreamweaver, what is the best way to implement the code? You can paste the code anywhere on your pages. You may only wish to track important pages such as those which contain your site’s content. 4. How can I track SSL https secure pages? Opentracker supports the tracking of secure, ssl, http, shopping-cart and login-protected pages. Please note that the only change is the addition of an “s”. Please note that if you have secure and unsecure pages in your site, you can use the following updated version of the script throughout your entire site. 5. My website is located on my host’s server, can I use Opentracker.net? 7. Where do I insert the code for a WordPress site or blog? WordPress instalation is easy, simply use our WordPress Analytics Plug-in! 8. Where do I insert the code with a Drupal site? The easiest way to implement the script sitewise is to place the script is in in your theme template file. 9. Where do I insert the code with a Joomla site? If you have multiple gadgets in your footer, You’ll want it to be the last gadget on the page. 11. Loading speed – will the code slow down my website? You can choose from our script hosted on our Content Delivery Network (CDN) or put it on your own server. 12. Dynamic – can I use Opentracker.net on database-generated pages? Yes. Opentracker is designed to handle database-generated pages, also referred to as ‘dynamically-generated’ pages. This includes JSP, ASP, PHP and all other languages. Pages are recorded based on URL, filename and title. Your pages are best identified by a human readable title. Dynamically generating a title tag will help you sort your pages. 13. I inserted the code but I cannot see any statistics, is there any delay? There is no delay, you should be able to view online visitors in real-time. Some reports can take up to 30 minutes to populate, but Online VIsitors works immediately. Some statistics won’t be available until the respective time period has lapsed, e.g. forecast, weekly statistics, etc. 1. Can I see what a person who typed in a specific search word did on my site? Yes, in some cases. Login to your account, and go to Visitors: Visitors by search term. Here you will see all the recent visitors to your site that used a search term: both the search engine, and if available the search phrase typed in. Note that in a majority of cases the search term is encrypted by the search engine. By clicking on the green or red puppets you will be taken directly to their click-stream(s). 2. Secure & Password protected – who has access to my statistics? Opentracker.net is password protected. Only people who have the password may view your statistics. Opentracker.net gives you the possibility to add new users to view your statistics.You may add users at any time and set varying permission levels. The bounce rate (or more optimistically click through rate) is a measurement of how far visitors click into your site. Bounce rate: The percentage of visitors who visit your website and leave without getting any further than one page (bounce). 4. How does Opentracker distinguish between new and returning visitors? A returning visitor is a person who visits your site and comes back after a period of 24 hours has elapsed. Additionally, we measure visits, a visit is a visitor’s clickstream broken by a ten minute period, (minimum of ten minutes). So you have a cup of coffee, and return to the site, this will be a second visit. Say you go to bed, and you return to the site the next day; you will be a returning visitor. 5. Remote access – can I access my statistics from any computer? Yes. Your statistics can be viewed 24/7 from any computer connected to the Internet using your login and password details. 6. Real-time – how often are my statistics updated? This means that you don’t have to wait to view the latest traffic flow of data. Updates occur on a continuous basis as information is received. 1. I’ve received a Worldpay card failure email – what do I do? This means that the card details WorldPay have on record for you are no longer being authorized by your card issuer when they attempt to send us a payment. This may be because the card has now been canceled, has expired, or it may have been given a new issue number. Under the Agreement ID column, Click the Agreement ID you want to change the payment details for. Enter the new card or bank account details. Click the Submit button to enter your new payment details into the system. Note: If you change the card number, the new number will not be displayed until a payment has been debited from that card. 2. Is payment by credit card secure? Yes. Payment for Opentracker by credit card is secured by Paypal or WorldPay. We process thousands of transactions per month and have never experienced a security lapse. 3. How do I update or add a card to my PayPal account? Place your cursor over the “Profile” link until the menu appears. If you add a bank account, PayPal will ask for some additional information to confirm you are the owner of that account. Follow any additional online directions. 4. Can I get a refund if decide not to continue tracking a site? No. However, you can transfer pro-rated payments to other sites upon request. You can only cancel your subscription payments effective as of the next scheduled payment. This means that you will not be billed for the next payment-cycle. 5. Can I use multiple credit cards under the same account? Yes. Through Paypal and Worldpay numerous payment options are available. It is also possible to associate a bank account with your PayPal account. We also offer bank transfer payments for yearly subscriptions with an administration fee. Cancel your account or individual sites by logging in to your WorldPay or PayPal account and cancelling your billing cycle. Alternatively open a support ticket to cancel your account for you. Click here for WorldPay, you need your original Worldpay signup email for details. And login here for canceling your PayPal subscription. Once logged in you must directly cancel the subscription. This will cease billing effective immediately. We will receive a notification from WorldPay or PayPal and adjust our records. 8. Why is the Paypal / WorldPay order form giving me an invalid credit card error? Because PayPal and WorldPay are 3rd parties, please refer directly to their technical support pages. We are of course available to assist if you encounter difficulties, and will communicate with the payment processors on your behalf. 9. Where do I view my billing information? When logged in to Opentracker, you can view billing information for your account on the “payments / billing” page. On the payments/billing page you can see how many sites you are being billed for and which sites are actively paid for. Because we use 3rd-party payment processors; PayPal or WorldPay, you must log directly in to your respective PayPal or WorldPay billing agreements in order to update/verify billing information etc, and to view your complete transaction history. Upon request we will provide invoices and/or year overviews. On a yearly or monthly basis, depending on your selection. You can choose to pay for your account on an annual or monthly basis by creating a billing agreement which will then move forward automatically after the initial payment. 11. Do I have to pay sales tax or VAT? Not if you are located in North America or outside the European Union. It depends on what country you are located in. If you are located in The Netherlands you will have to pay 21% VAT. Other EU European Union businesses are exempt from sales tax / VAT if a valid VAT number is provided. 12. Can I pay by purchase order or cheque? Online payment processing is preferred. If this is not available (for example educational institutions), we will work with you to arrange a bank transfer. An administrative fee will apply. 1. How do I become a reseller? By creating an account and using the [add site] feature to add multiple sites. You must have an Opentracker.net account and you have to be logged in to add new sites. You will benefit from the standard discounts and back-end management tools. The “user management” option will allow you to add users for the new licences you administer. (Download instructions). 2. I am tracking multiple sites. Where can I switch between site reports? Unlock the Options bar. To switch between the different domains that are in your account, use the “selected site” drop-down box located in the Options bar. If you click on the drop-down box, all of the sites for which you have permissions will appear. Select the site you wish to view. You will be taken to stats overview for that site. 3. Can I add multiple sites? 4. What is a reseller and why should I be interested? A reseller is an administrative contact who uses Opentracker to provide added value for their clients. Why would I want to be a reseller? There are a number of reasons to become a reseller. The main reason is you to provide multiple Opentracker.net accounts to your clients, colleagues, or departments without having to share login, password and permissions. With a reseller account you can sell Opentracker.net to third parties, and profit from the bulk discounts and generate passive income. 5. How do I keep track of multiple sites? You can access all account and user information in your preference pages when you are logged in. Opentracker.net’s back-end is simple and intuitive to administrate. Depending on your package, you can add and administer a number of sites to your account. 6. Where can I find the reseller discount table? The reseller or multiple-site discount table can be found by contacting sales. 1. What is User Management? Opentracker gives you the ability to share your statistics with other people. You can do this by creating users within your account. After you create new users, you can manage them by giving every user unique privileges in the form of access to individual site stats. 2. How many users can I add to my account? The amount of users you can add to your account depends on your package. Each users (with a unique email and password combination) can login and use Opentracker.net. You can also set unique permission levels on a per-user, per-site basis. 3. How many users can I create? This depends on the subscribed package – if you want to add a large number of users, please contact us, so that we can determine the best subscription package. There are three types of Opentracker users: Administrators, Super users and Standard users. Administrators can create or delete users, add sites to the account and administer privileges on a per-site basis. Super users can create or delete users for sites they have permissions for. Standard users can only view site statistics. 5. Where can I find the User Management? If you are logged-in as the account adminstrator, then you will see the user management link in the drop down under My Account. 6. What can I do with User Management? As well as setting individual worker privileges, User Management allows you to give temporary or permanent access to clients, consultants, colleagues who telecommute, etc. If you have an account with multiple sites, you can give access to specific sites to specific users.